Ravindrasinh Anirudhsinh Jadeja, commonly known as Ravindra Jadeja has got really cool tattoos on his body. The handsome cricketer sports two body inks which have special meanings for him. Have a look at his tattoos! Jadeja inked ‘Jaddu’ on his right forearm in 2010 when he started playing for the national team of India. His nickname, ‘Jaddu’ got popular among his fans and fellow cricketers so he inked this nickname – ‘Jaddu’, surrounded by flowers. 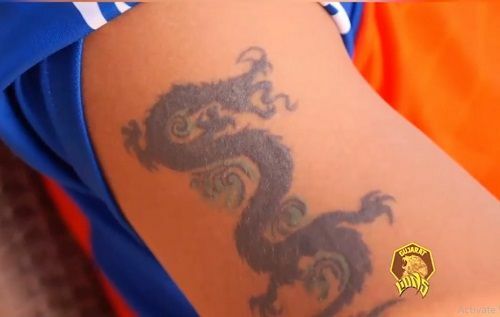 Ravindra Jadeja inked this dragon tattoo when he went to Australia to play for India A team in 2008. Jadeja says he got this tattoo inked in hurry just to get any tattoo on his body. 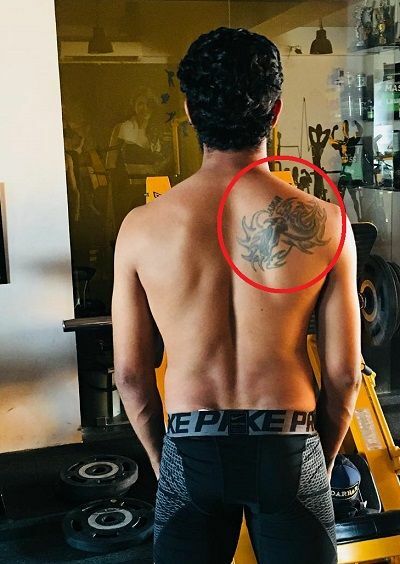 Jadeja has a flower design ink on his back. He says he got this tattoo to show off when he goes for swimming. 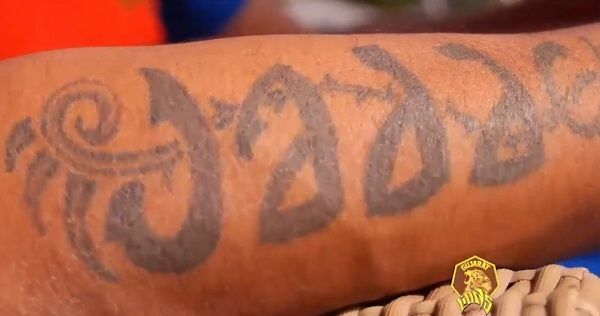 In 2018, Jadeja inked a horse on his forearm to show his love for horses.